I don't just want to be logging foods I had been eating in restaurants over in HK but also foods I had been buying to take home. 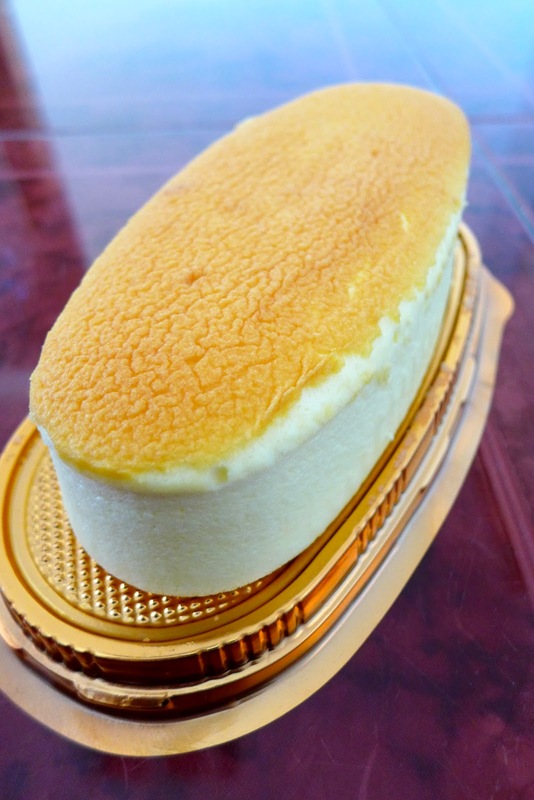 This is the first cotton cheesecake I have ever bought. Seriously. I have always made my own so I was intrigued to know what the ones the pros make are like. My sister-in-law, Shirley, was also intrigued as she normally likes my cotton cheesecakes. One bite and I instantly tasted some weird artificial flavour. Something was just real off about it and the texture was not the usual "light as air" feel, more like wet and mulchy(if this is a word). I had to get Shirley's opinion on this and luckily she thought the same as me - she took one bite and had that "what the hell?!" face. Maybe it was just the one we bought from this brand but I wasn't prepared to waste any more money on trying out others. Maybe next time. These were just too pretty to pass by without trying. I am never a huge macarons fan, purely because I find it quite sweet most of the time - although if done well, the intended flavours they put in will outweigh the sweetness. Too sweet and I have a feeling that rather than using ground almonds, they may have used almond flour and possibly almond essence as the taste of almonds does overwhelm slightly. Going through Central and we come across Pierre Herme. Who could resist?! The difference between Pierre Herme Macarons and the ones I bought from Paul Lafayet is quite big - not just on price, also on quality. The flavours are amazing and you can taste every element in those macarons. The staff are very informative and are very knowledgable on their products which just add to that experience in store. Can't fault it. I chose the Hong Kong Edition box rather than the classic. My youngest Aunt on my Dad's side has always been my favourite aunt because she genuinely cares about us. She treated us to a beautiful lunch in Shanghai Min one day and the views were gorgeous. The place does look very high end and I can imagine a lot of business people having their corporate dinners here. They are very accommodating to children too so that really helped when we had 2 young ones with us. We had set menu lunches and it was so filling! This should technically have a separate post but I don't want to favourite any particular place because each place has a different style. No.2 enjoying the views of traffic and the sea. Cold ham hock terrine style and black fungus that has been filled with a refreshing stock. Ribs that fell of the bones when you go to eat it and what looked like a dehydrated style tofu. Fish with some chilli salt. These were very delicious! plating was a little strange though. Soup that is served in what looks like wax disc burners. Kept the soup nice and hot while we nattered away. 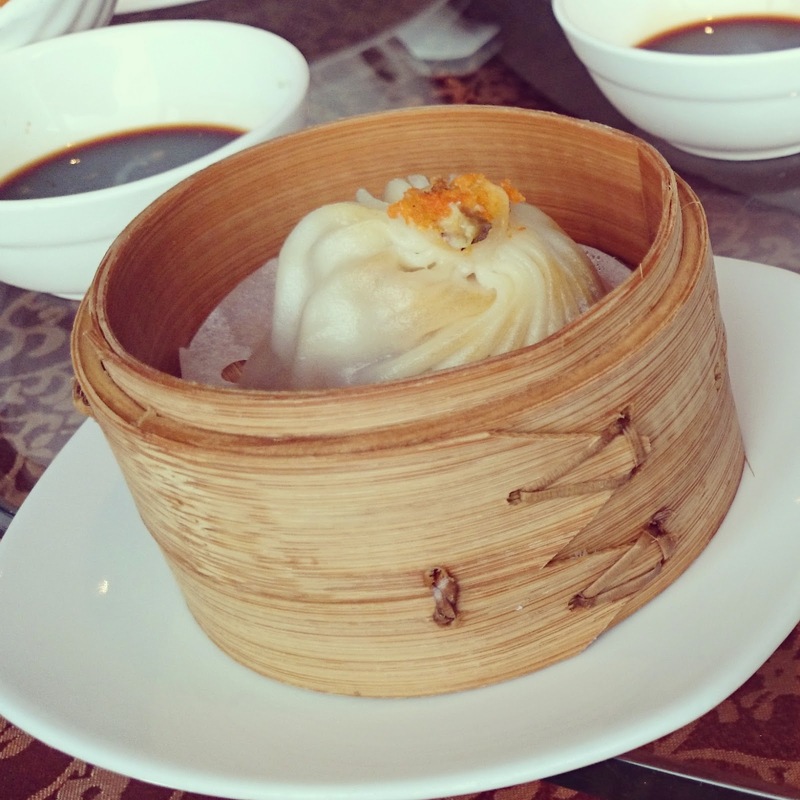 xiaolongbao - this was just heaven! The way to eat it is to take a small bite off the side, then let the soup stock inside "drain" on to a spoon. 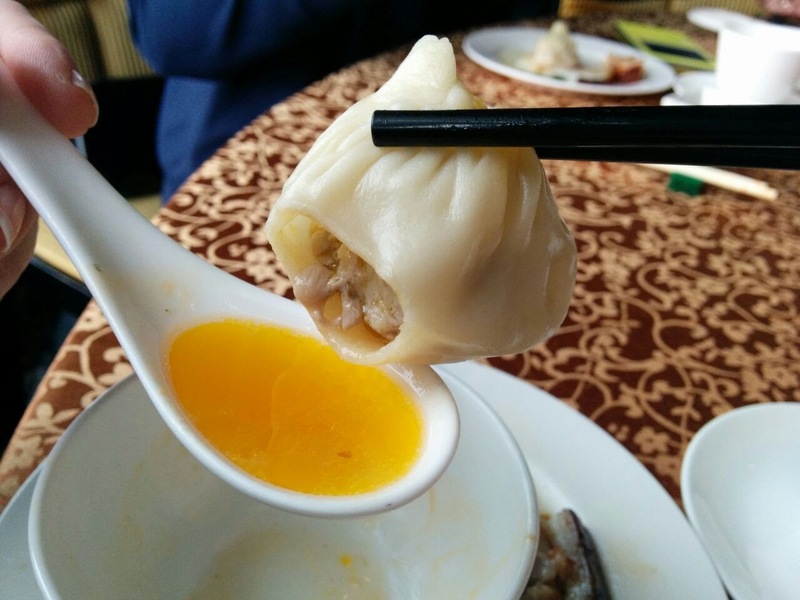 Drink the stock and then eat the pork and crab meat "dumpling". My first time trying this and gosh, I hope it won't be the last time. 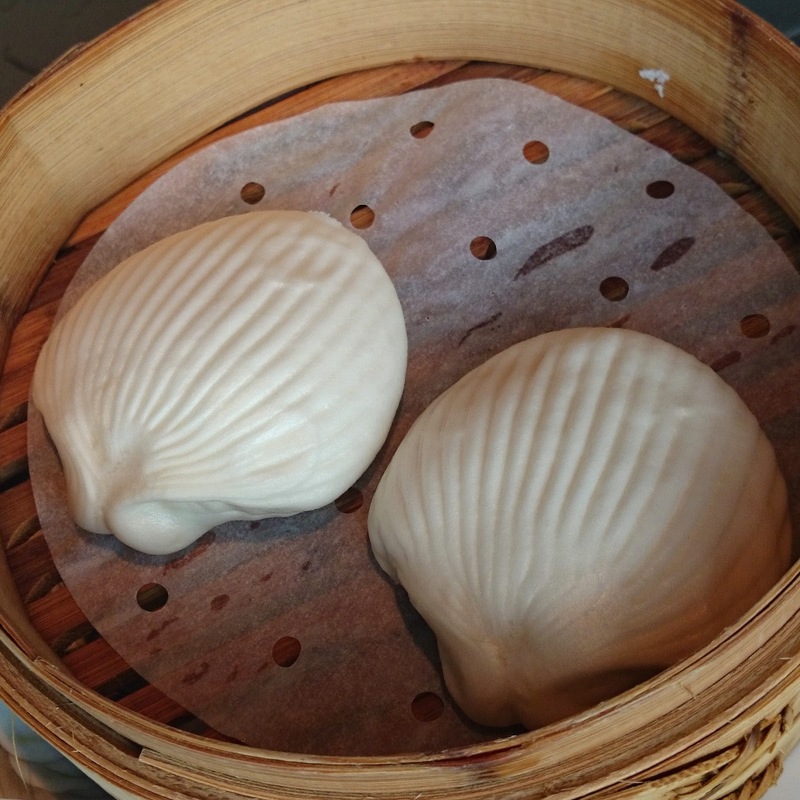 Shell shaped Man tou - very light inside and the kids loved it. 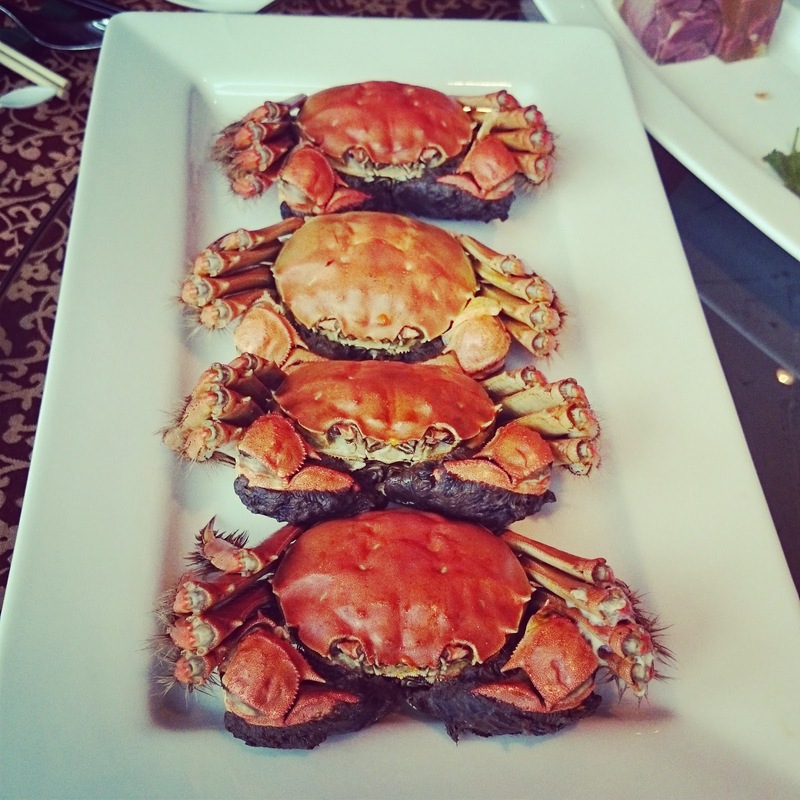 Hairy Crab - these crabs had a very high content of "mustard" inside and it tasted divine! They provide gloves, scissors and a picker so you don't get your hands dirty. Their style of Dong Boh Pork belly - good but not as good as the ones my ex-colleagues used to make. Tong Yuen for dessert - Best dessert I have had in Hong Kong! 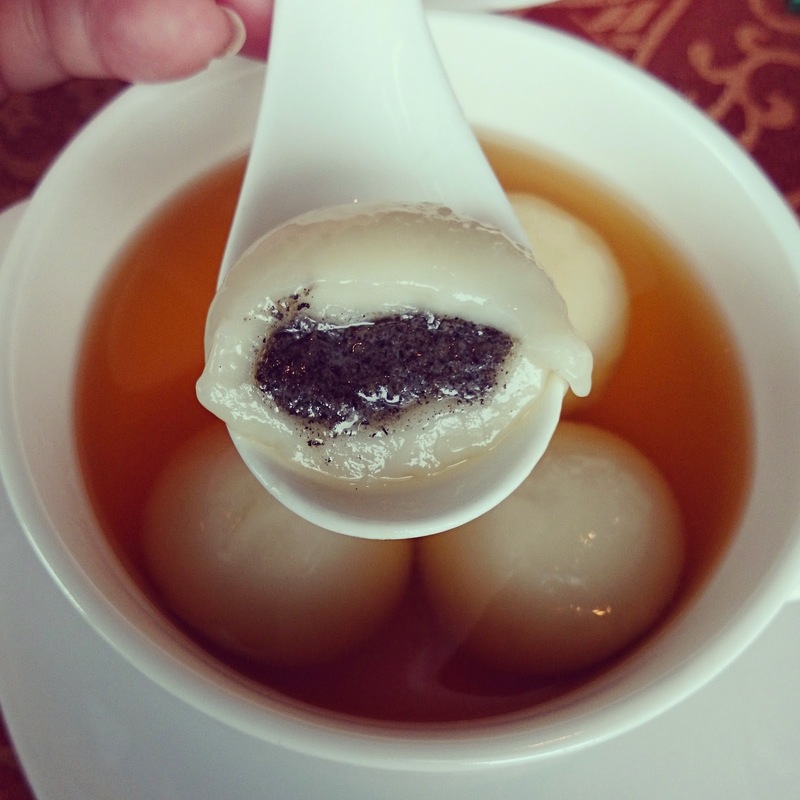 My favourite - glutinous balls with a black sesame filling in a ginger sweet soup. 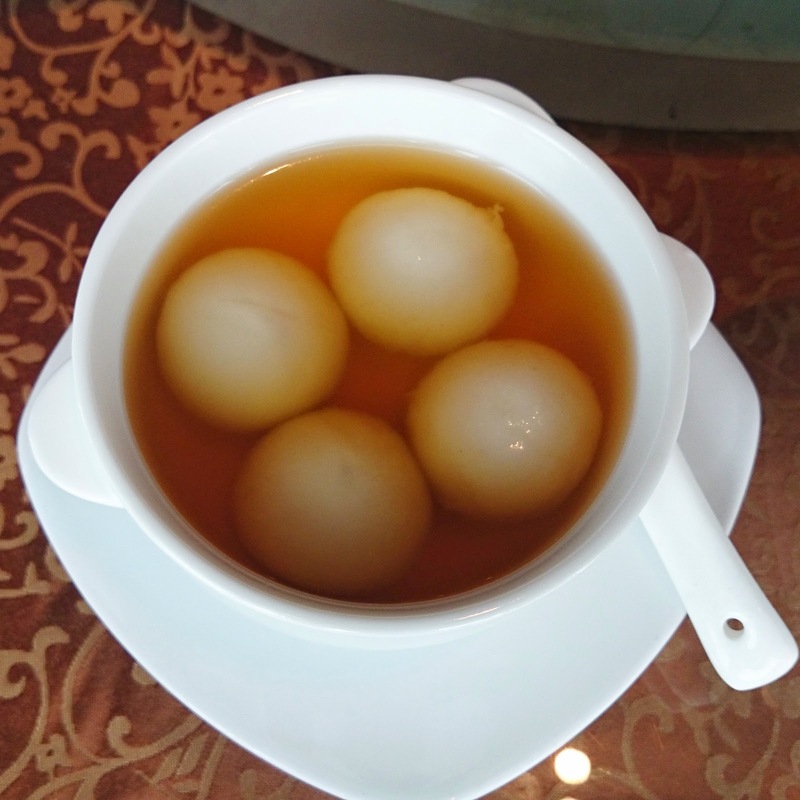 The ginger sweet soup has quite a heat to it but it compliments the sweetness of the Tong Yuen nicely. Okay, I forgot to get the name of this place but if you venture in to the centre of Tai Po there are several noodle restaurants that are pretty decent. 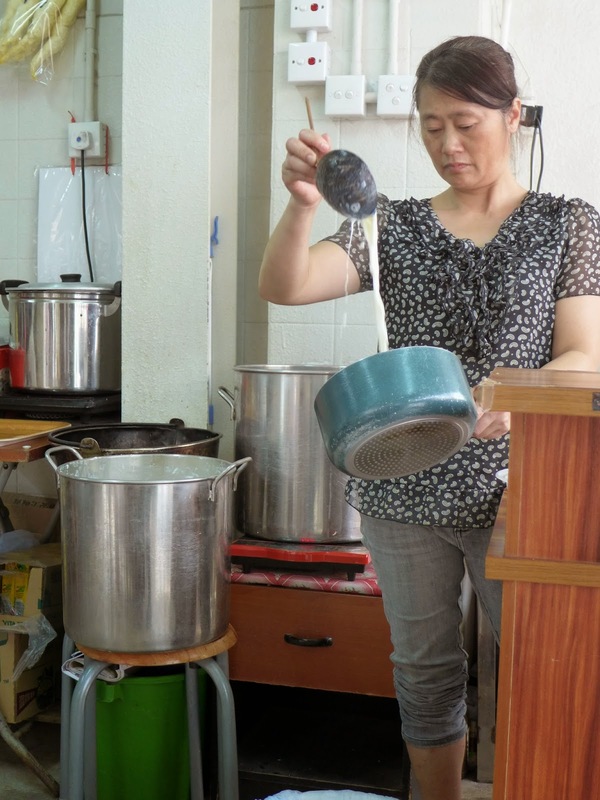 They specialise in their own made fish balls and wonton noodles. The best accompaniment for bowls of these noodles? 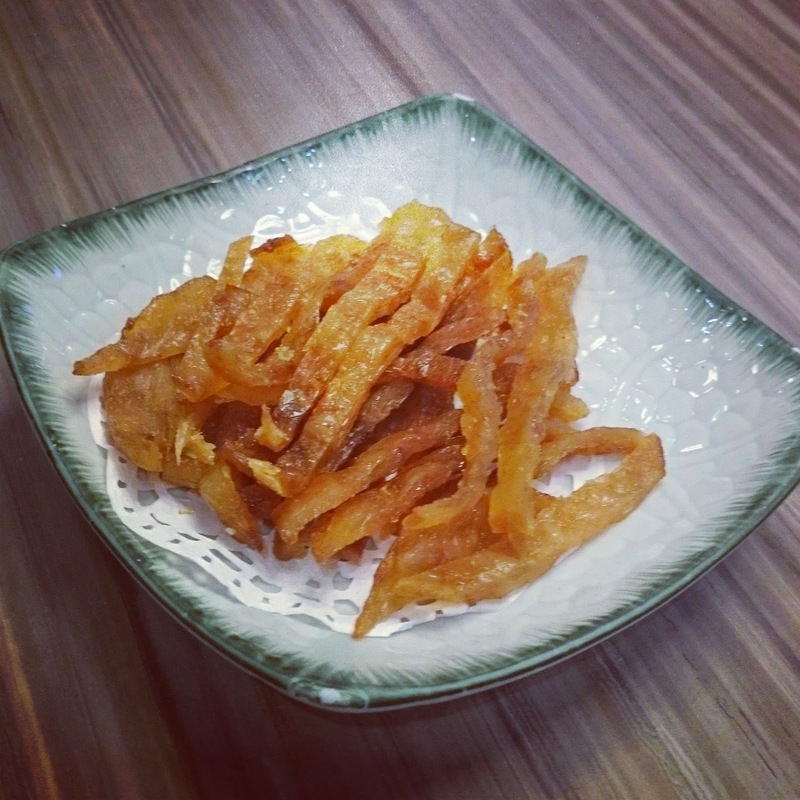 Crispy fish skin! Yes. Fish skin. Way better than prawn crackers, believe me. The noodles are so filling and the wontons have whole king prawns in them, total noodle heaven! Only $70(HKdollars) for 2 bowls of noodles, a plate of fish skin and 2 drinks - pretty damn cheap eat. 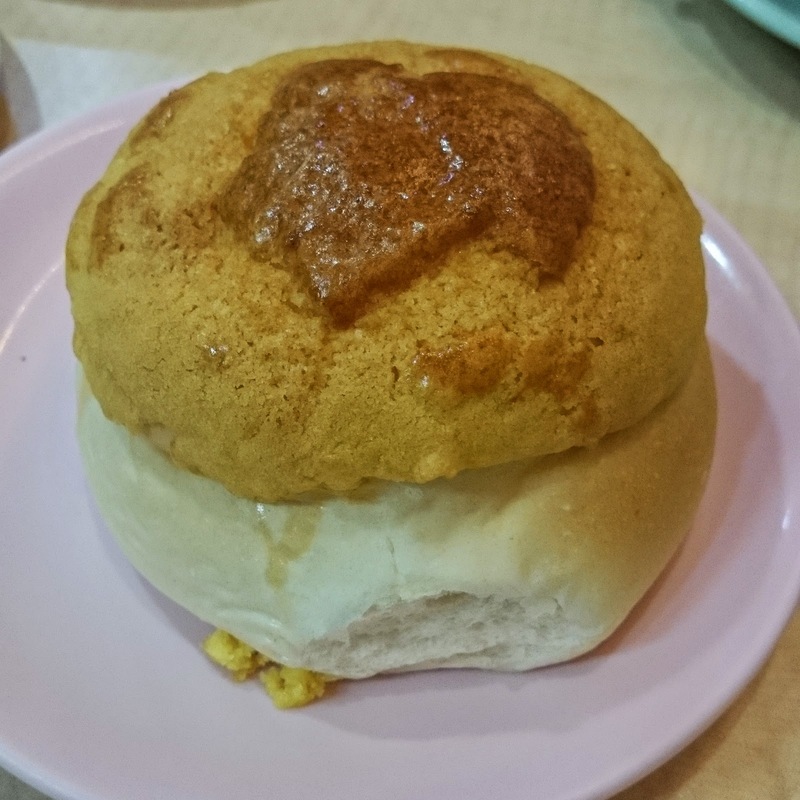 When in Hong Kong, you need to try Dai Pai Dong at least once. No, it isn't the cleanest of places and yes, there is a chance of sharing tables. 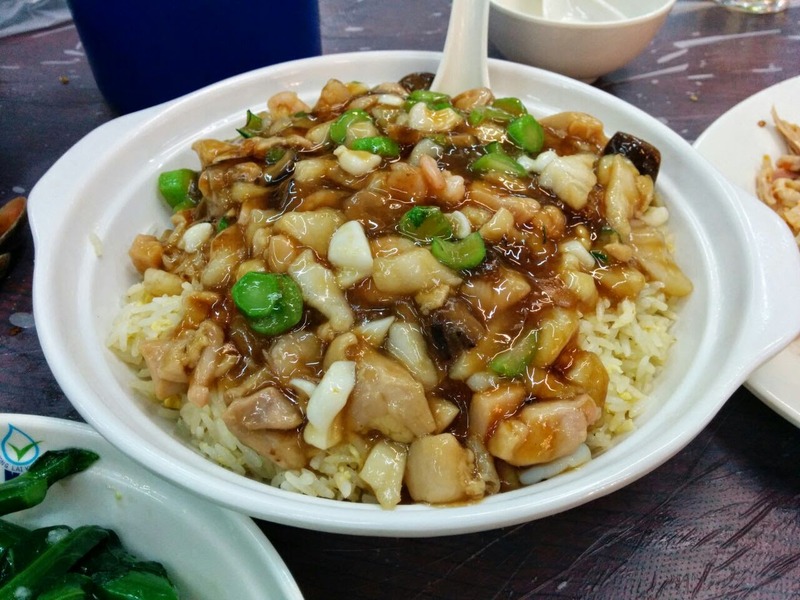 Cheap food, fast service and by golly gosh, the food can not be replicated in any other restaurants in HK. We got there early so found a table with ease and by the time we were finished the place was packed and had people standing by our table waiting for us to leave! This is how good they are. Order dishes to share, that is the style. You would be silly not to try more than 2 dishes. The food is full of "wok hay" - a term used for when food has been cooked in a wok that has reached it optimal temperature, giving the food a distinctive taste. Something dai pai dong food is well known for. 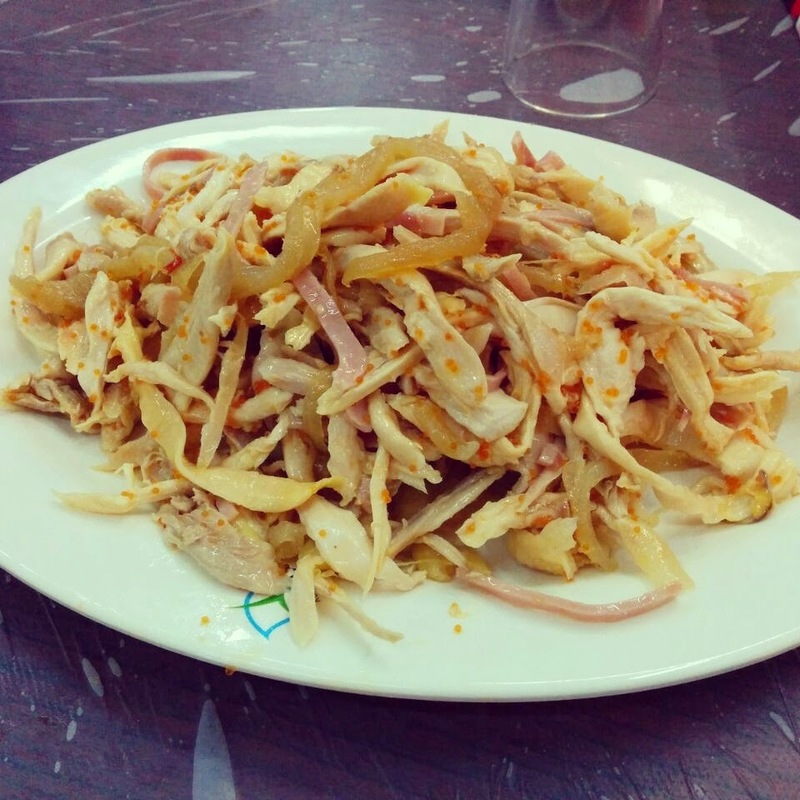 Hand shredded chicken - with ham and jellyfish, so fresh and the wasabi totally makes it their own dish. The crab roe gives the dish the salty element and great texture. 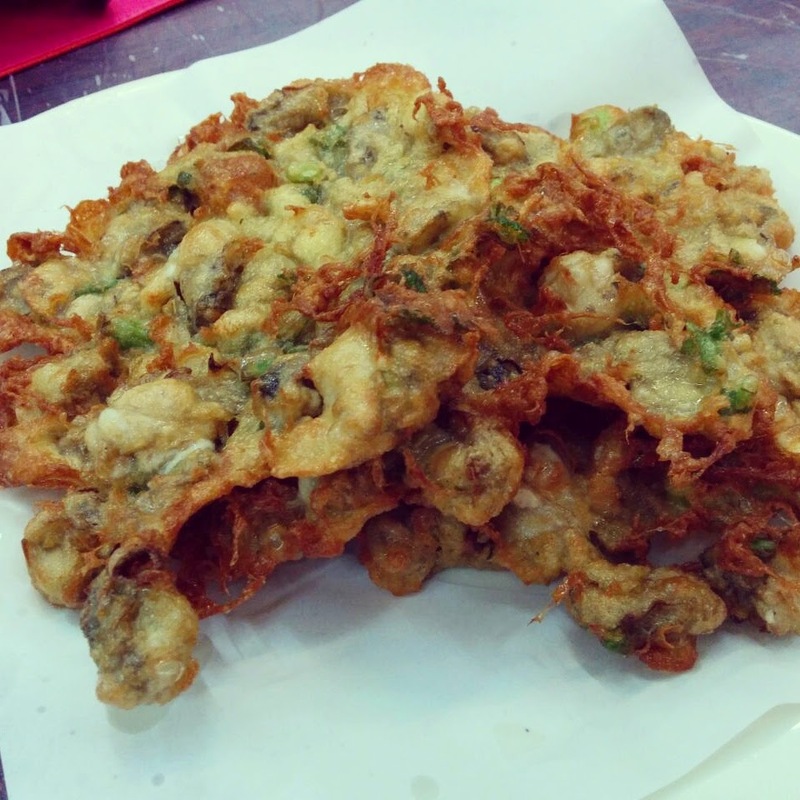 Mini oysters pancake (ho jai beng) - My all time favourite dish in Hong Kong! Crispy on the outside and juicy on the inside. 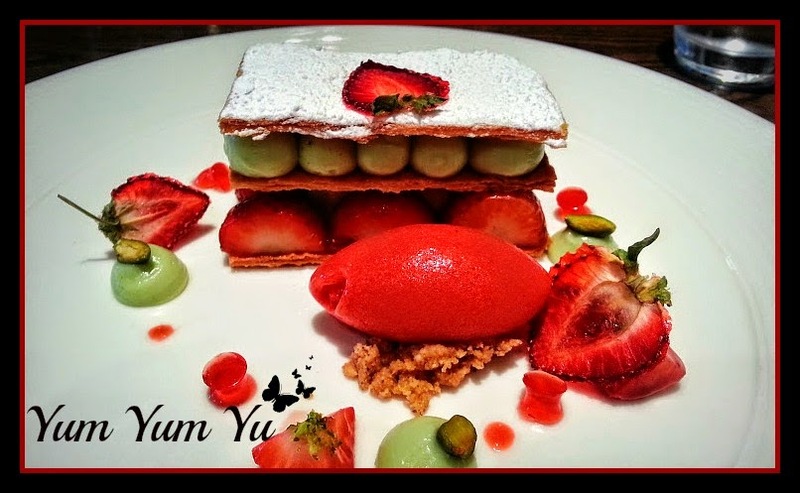 I can't stop thinking about this dish! 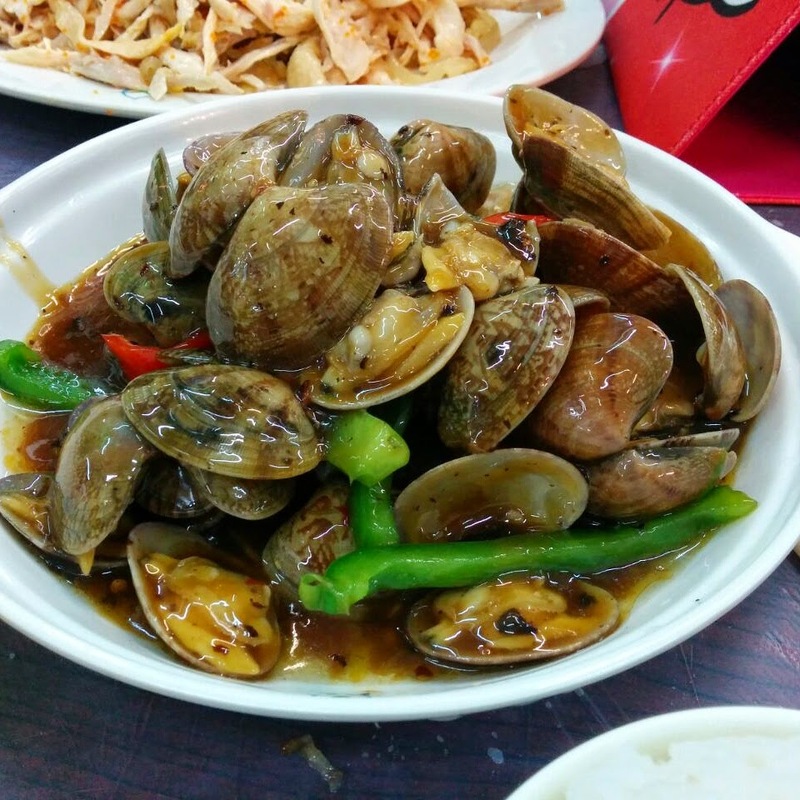 Clams in black bean sauce - fresh and packed with flavour. 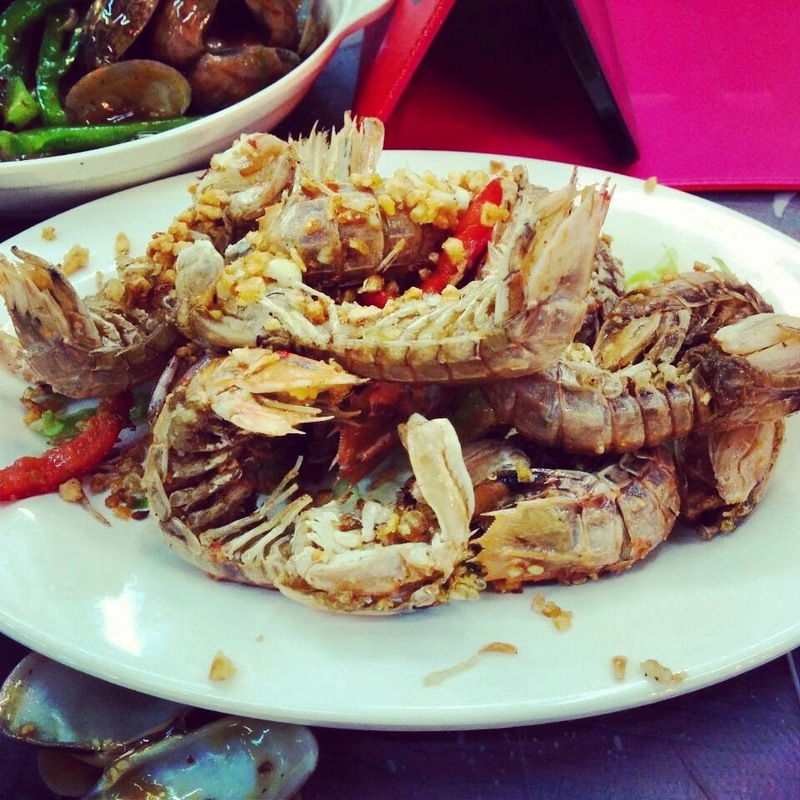 Garlic mantis shrimps - the most underwhelming dish only due to the not so fresh shrimps. 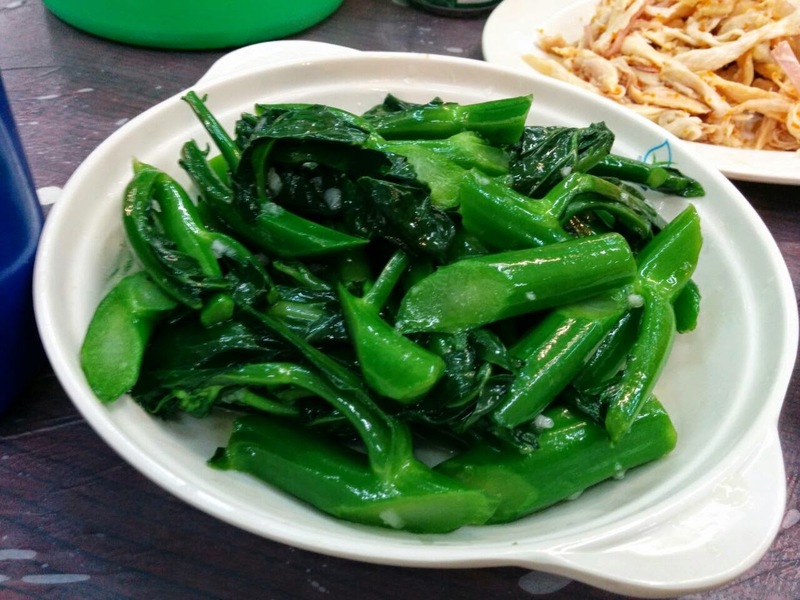 Kai Lan - it's kind of a must when having dinner. I am a huge Dan Tat fan and this place does the best Dan Tat I have ever eaten in my life. One mouthful was all it took for me to just go, "awww". 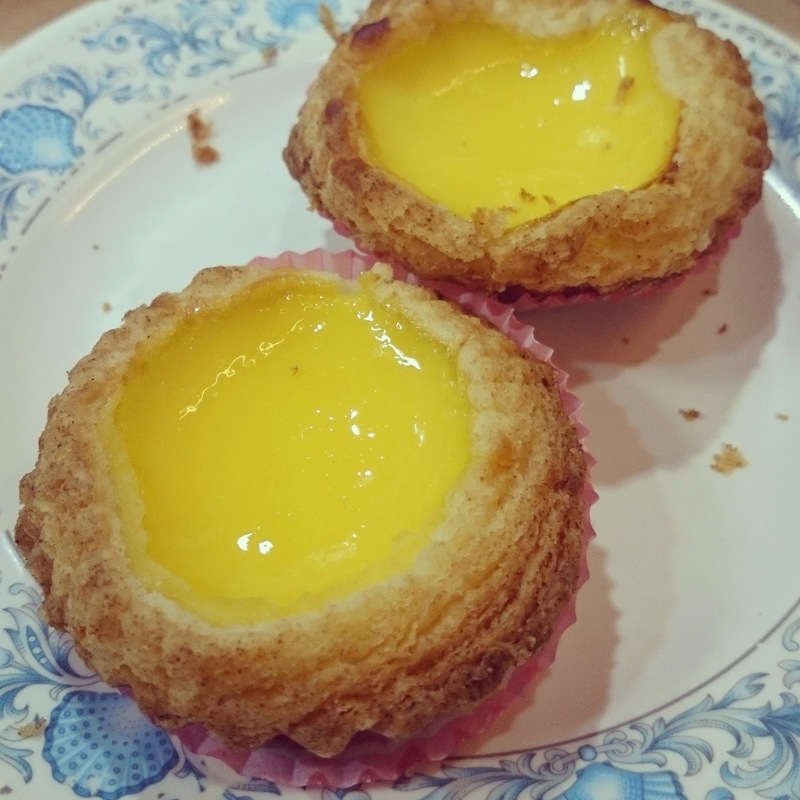 Not over-sweet, no artificial custard taste (that most have) but all the egg taste! Their pineapple bun is so soft and although it didn't have the signature cracked top, it was one of the best tasting pineapple buns I have had as well. The reason they don't have a cracked top, is probably because they omitted the alkaline powder which is perfectly fine with me. Their tea is smooth, made with condensed milk but still very strong - think it was a little too strong as it had a slight bitterness to it. This day trip with my mum was long but it was real good to have some mother and daughter bonding time with mama as we haven't done something like this in over 10years. She taught me a lot about Hong Kong on this trip too. The great thing about this shop is that everything we had here was not over-sweet in order to allow the true flavours of the black sesame and soya to come through. ...and Black Sesame Pudding, which me and mum bought to take home to enjoy in front of the TV that night. Grilled/BBQ'd oysters and razor clams. With cheese - as you do. First stall I came across that makes Gai Dan Jai so couldn't resist! These 2 men have had this stall for many years and there is always a queue of people waiting to buy their peanut mochis and tea dumplings. This lady sells fish maw primarily but due to sales being slow, she decided to cook them in skewers to sell to tourists who may not buy the fish maw whole. Clever tactic and necessary to make a living. 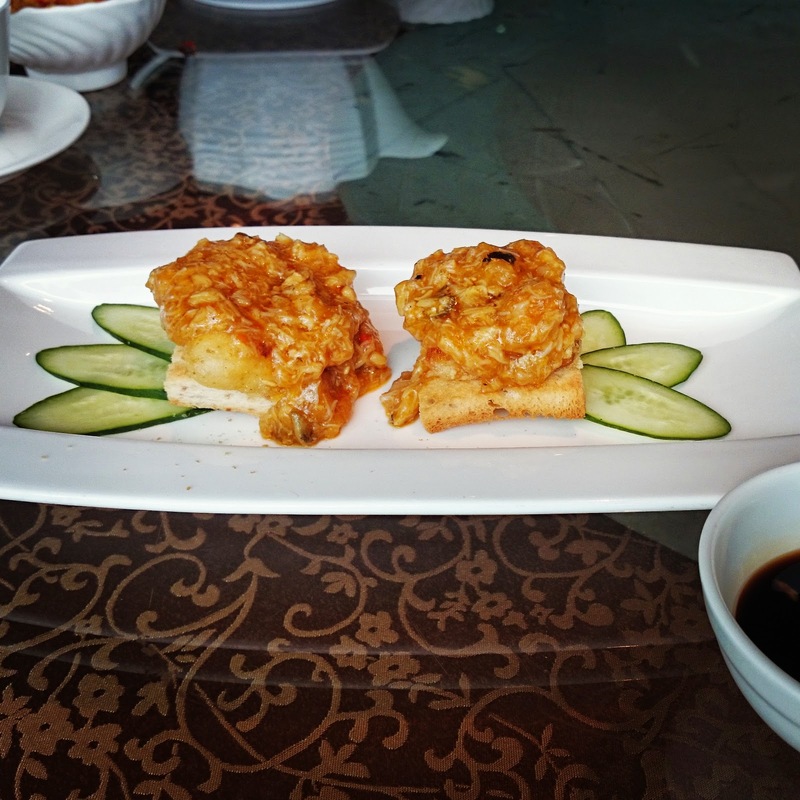 Mum's fish maw skewer - she loved it! 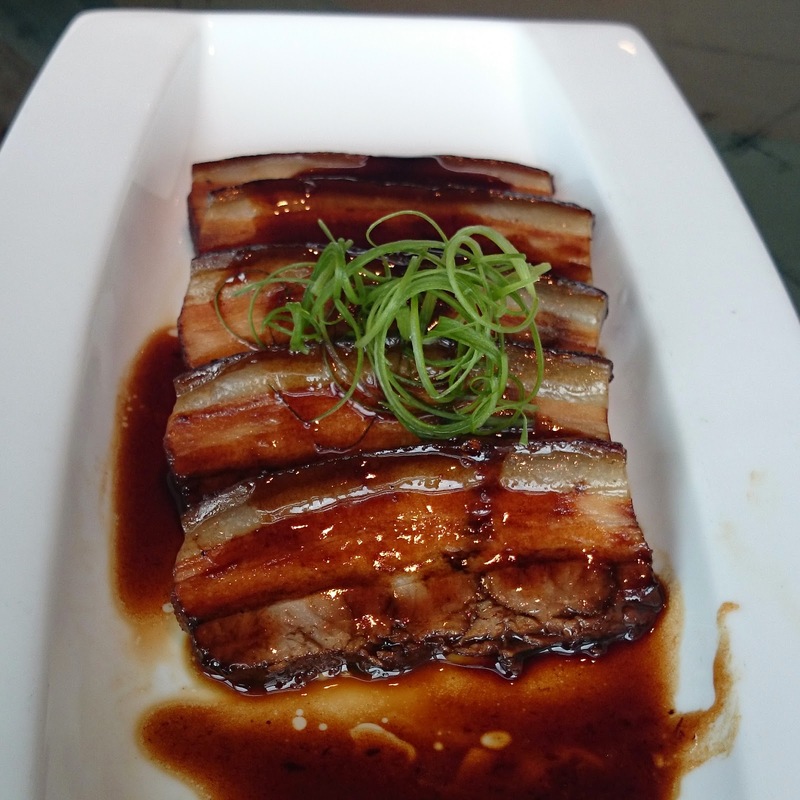 Another look at the Gai Shee Tung. Quite good - not as good as grandma's though. Walking towards the Tai O Heritage hotel, we came across this shrimp past drying area. These are not bricks, these are shrimp paste blocks put out to dry. The smell is quite overwhelming but when added to dishes, it is very tasty! Like what they did here are the hotel - They used the shrimp paste to marinate the pork chop and to season the mayonnaise. The pork chop was very juicy and not tough one bit. 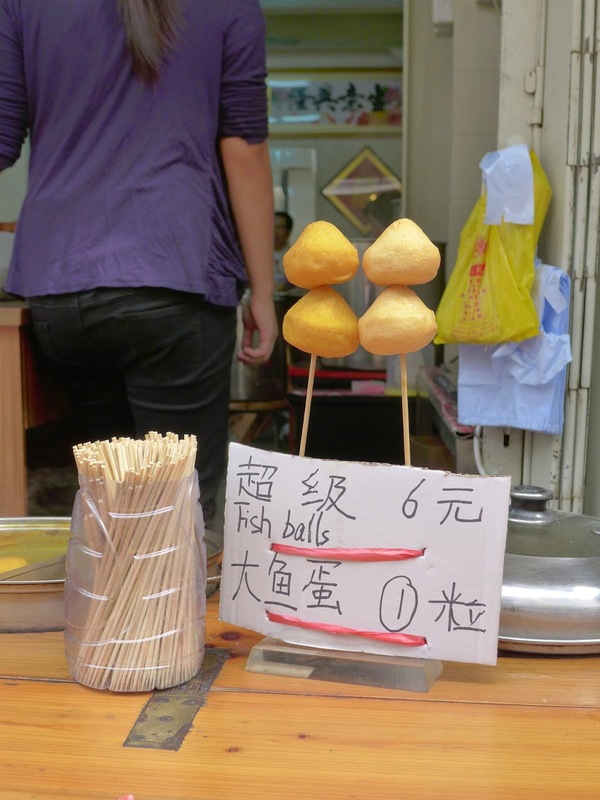 Another thing Tai O is famous for is their salted duck egg yolks. Here at the hotel, they made fish burgers where the fish has been coated in a salted egg yolk crumb. Very rich but the flavour is so unique! On our return from the hotel, we came across this man making gai dan jai the traditional way and there was a huge queue. So we ended up waiting half an hour for his gai dan jai - totally worth the wait. The best I have ever had. My love of quail eggs will never end. Had to buy some boiled ones to take home to enjoy. Came here for dinner with the parents and their friends...what was supposed to be a very tasty meal turned out to be an over expensive dinner that made me wish I was back in Chan Kun Kee. Pufferfish - So overrated. I actually didn't enjoy this appetiser. Sashimi - not fresh at all, which half the table could tell but the other half finished it no time (I personally think it is just because they think it's expensive so "it must be good"). These King Prawns were pretty good but nothing to rave about. Another chain restaurant (they even have one in the airport where prices are hiked up a lot!) but they are fantastic. I couldn't believe how much I enjoyed the food there to be honest and wouldn't mind going there if I needed to find a quick bite to eat in Central. Bro's Salted Fish and Chicken Fried Rice - that flavour of the salted fish was surprisingly strong, this is a good thing by the way! So moreish and such a big plate of it. Pork chop curry with roti - D-licious! The curry was spicy but not burn-your-mouth spicy. The roti was crispy and flaky yet not greasy, perfect for dipping in to the curry. 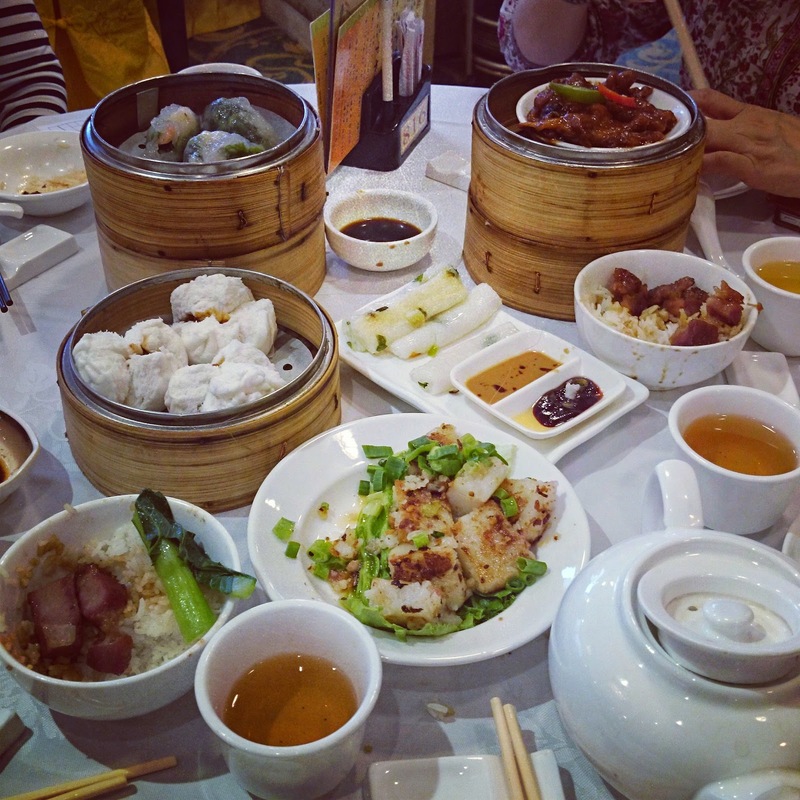 Now, we can't come to Hong Kong and not go yum cha right? Right. 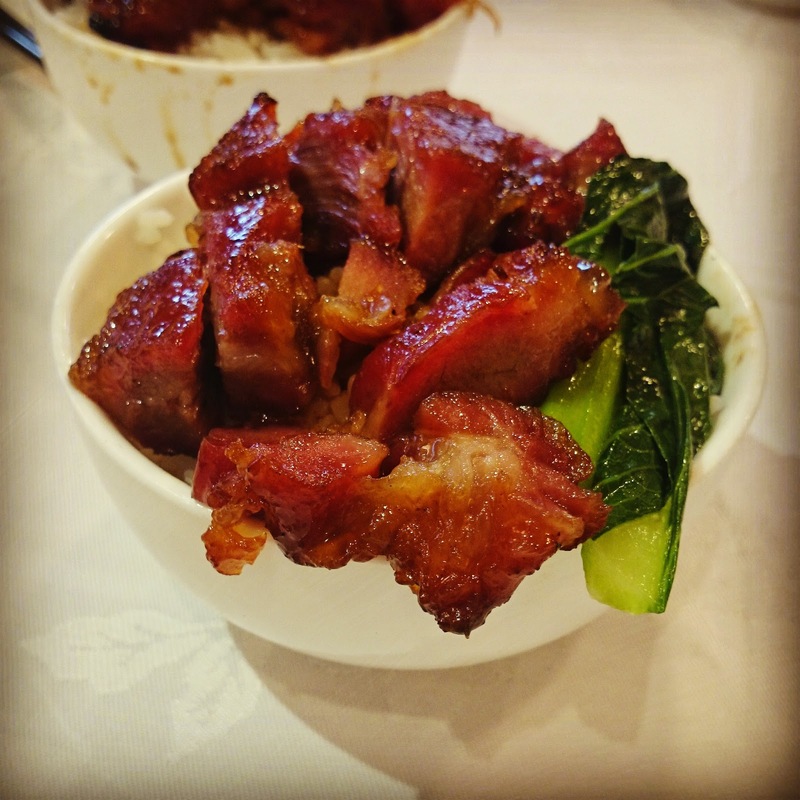 My favourite was the char sui rice - succulent pork pieces on top of rice that has been drizzled lightly with a soya sauce mix. So that was my little food adventure, I hope you have enjoyed it and hopefully helped to give you some idea of where and what to eat if/when you visit Hong Kong.